you can deform multiple objects with a single armature. May have been common knowledge to most, but I was glad to discover it. For instance the leather parts of the mesh are a single object for mapping and textures, but all I have to do is add the armature modifier and viola! they seperate meshes work together! Add the deform bones and do the driven shape work and weight painting before adding the control structures for IK and such. Saves a lot of time switching between bones layers to test shape and movement. 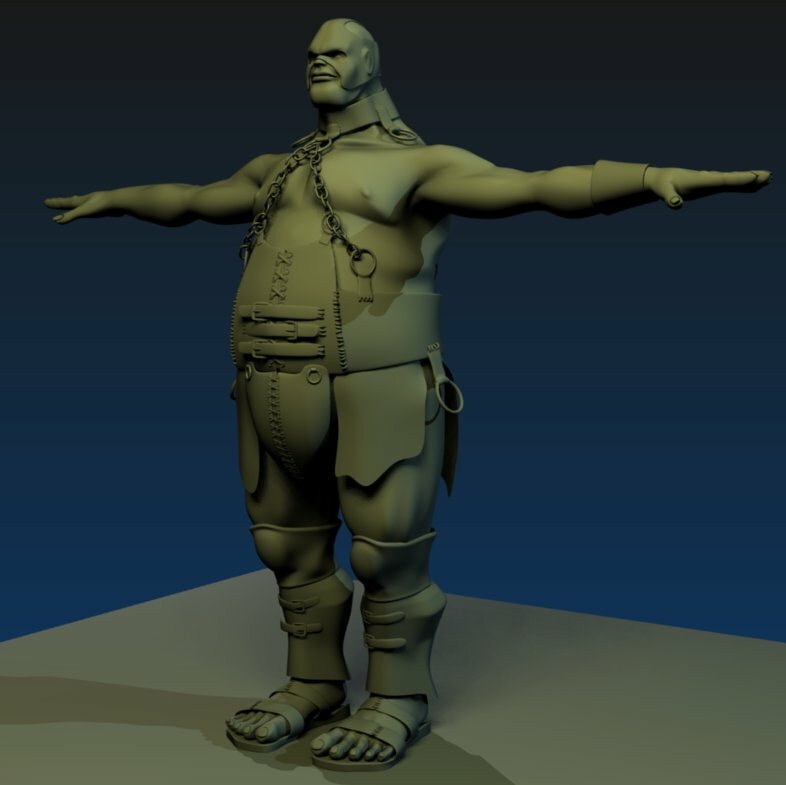 Now I need to work on cloth settings for the fur around his waist. And figure out what I should do for the area inside of his upper thighs, where his legs meet the codpiece. Looks good straight up, but it looks like it will have to be smaller or more flexible or something…I dunno yet.